From why some Italian-Americans defend Columbus Day to the global voice of Eric Hobsbawm, here are this week’s top picks in imperial and global history. As cities across the country increasingly reject Columbus Day, choosing instead to celebrate Indigenous People’s Day, some Italian-Americans have sent a clear message: Their holiday isn’t going down without a fight. Columbus Day, named for the Italian explorer who sailed to the Americas on behalf of Spain more than 500 years ago, has become a painful reminder of the oppression endured by native peoples. At the same time, the holiday remains an important part of Italian-American heritage, and for many, it is one worth keeping. A long line of encounters, from the Spanish Armada to Napoleon to the Blitz, have contributed to a national mythology of Britain as a continually scrappy underdog. What kept the ship of state afloat in the face of such superior odds? Andrew Lambert looks for the answer in a consciously constructed culture of seapower, which manifested itself everywhere from the dockyards to legal systems to maritime metaphors. In this, Britain was the heir to a longer tradition that stretched from Athens and Carthage to Venice and the Dutch Republic. All these were smaller states confronted by larger, wealthier opponents. Each turned to the sea to try to transform their weakness into strength. During his elder years, my great-grandfather, the post-Impressionist artist Sam Rothbort, tried to paint back into existence the murdered world of his shtetl childhood. Amid the hundreds of watercolors that he called Memory Paintings, one stood out. A girl silhouetted against some cottages, her dress the same color as the crepuscular sky above. 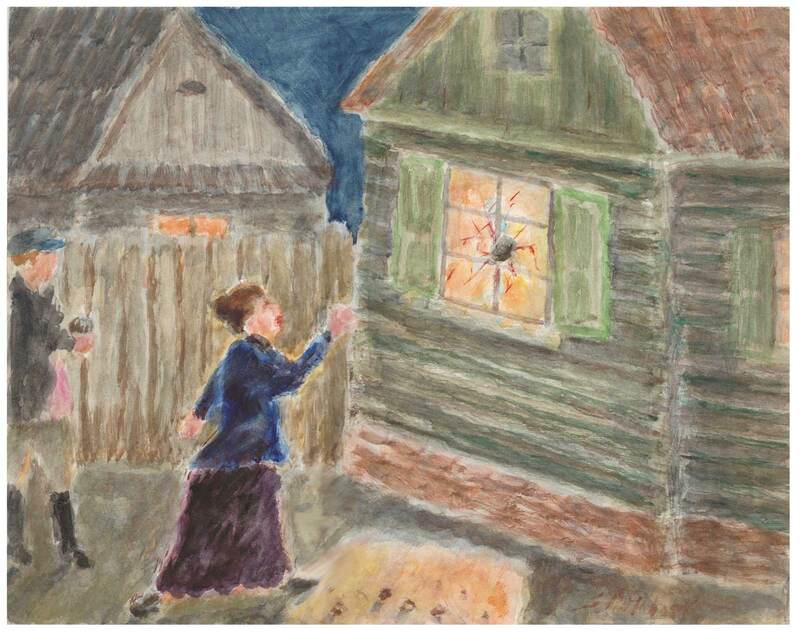 A moment before, she’d hurled a rock through one now-shattered cottage window. On the painting’s margin, her boyfriend offers more rocks. “Itka the Bundist, Breaking Windows,” Sam captioned the work.